In 2005, Polly Neate was at a career crossroads. She was the editor of the magazine for social workers, Community Care, a role she’d held for six years, and was starting to get itchy feet. Two career opportunities had presented themselves, both logical next steps in the world of journalism, and Neate realised she wanted neither of them. Under Neate’s leadership, the magazine had started campaigning, something Neate had fallen in love with. "I thought it would be great to do a job where there was a little bit more scope for doing that as well," she says. "I thought maybe I could make more of a difference." She took up a role as communications director at Action for Children and never looked back. In August, she became chief executive of the housing and homelessness charity Shelter, an organisation that has campaigning in its DNA, she says. Housing has been rising up the national agenda, and Neate says she’s excited by the way in which government, public services and other charities are becoming much more aware of how central housing is to the issues they are trying to address. "They’re realising that, if someone doesn’t have a stable, secure home, then it’s going to be very difficult to address their mental health issues or for women to flee domestic abuse," she says. "For example, it makes it difficult to improve people’s wellbeing in a whole range of other ways." 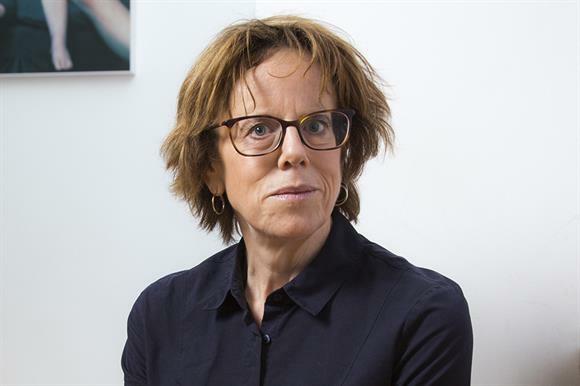 When it comes to party politics, Neate says she prides herself on her ability to work with people across the political spectrum, although she admits this is more of a challenge at Shelter than in her previous role as chief executive of Women’s Aid. "It’s very difficult to talk about housing without being seen as political in a way that it isn’t for domestic abuse," she says. It’s not enough to just be politically neutral, she argues. "You have to specifically make an effort to be seen as non-partisan in order to be successful at it," she says. But the additional challenge has not deterred her from campaigning and the government, she says, should deliberately be creating the space for charities to campaign by acknowledging that they have a right and a duty to do so. "I don’t know how government thinks it would actually function in many departments without the input of charities," she says. Despite journalism being very different from running a charity, Neate says her previous career has been more useful than she expected. Journalism teaches you to analyse complex information quickly and find the key points, make quick decisions and empower staff further down the chain of command to make decisions, she says. She did initially find it difficult to adjust from the quick turnaround of a weekly magazine to the slower pace of work in the charity sector. But she says that Shelter’s campaigning background has made it better at reacting to the news agenda than many other organisations. "Increasingly in the charity sector we do have to be able to live with quite a high level of risk," Neate says. "Sometimes in a good way and sometimes in not such a good way. "If you’re going to be fleet of foot, you have to be able to live with risk, have a solid understanding of what the risks are and a real-time approach to managing them." During her time at Women’s Aid, she routinely received abuse on Twitter from men’s rights activists. She hoped it would die down after the move to Shelter. Five months later she says it has, if anything, intensified. "The level of need is more severe and the fundamental right to a home is under threat. We need to frame our purpose in that context"
"I genuinely think there’s a very small number of men’s rights activists who would like to show that it’s too risky for a major national, high-profile charity to appoint a vocal feminist as a chief executive," she says. "It’s really important that this is shown not to be the case, and actually it would be a jolly good thing if more high-profile and vocal feminists were running charities." Ironically, she says, as a leader she’s not especially good at some of the managerial skills stereotypically attributed to women, such as listening, being open and having an awareness of what’s going on with those around her. "That’s an area I really try to work on," she says. "I have to remind myself to ask people how their holidays were and how their kids are and stuff like that. "I know it’s important, but it’s something I have to make myself do – it doesn’t come naturally. My kids would tell you that I’m about the least sympathetic person about other people’s illnesses in the entire world." It’s a cliché, Neate says, but one reason some men on Twitter react to her the way they do is that "they see being appropriately assertive as being aggressive". She tries not to be aggressive on social media, she says, repressing the urge to swear as often as she does in real life ("I’m a shocking swearer," she confesses). Neate also hasn’t been afraid to be assertive when discussing the detrimental impact that larger charities can have on the whole sector. In October, she told the think tank NPC’s annual conference that the power of the sector was concentrated in the hands of a few organisations that spent a fortune to consolidate their own positions, with only "a teeny-weeny impact" for beneficiaries. "For people with privilege, it will hurt," she said at the time. "Giving up privilege hurts. If it doesn’t, you are not doing it right." This is not a million miles away from the conversations that arise around women’s rights, Neate says. It’s very difficult for organisations and people who are facing their own problems to acknowledge that they might be privileged over another group, which gives her some toleration of the Twitter trolls. In the context of large charities, she says, she was talking partly about the type of contracts in which funding for small, grass-roots organisations gets parcelled up with a larger contract and gobbled up by a bigger charity. "I fundamentally don’t agree with the mantra that it doesn’t matter who provides the service so long as the delivery is good," Neate says. "If we lose that local, grass-roots, often activist-led bit of the sector, we’ll have only ourselves to blame, because tendering for a contract is a choice." Rather than arguing that the market has no morality and they are simply doing what is available to them, she says, larger organisations should accept some accountability and go as far as to support smaller charities to continue their work, not simply compete with them. But she also believes large that charities should be assisting smaller organisations to make their voices heard – and, through them, the voices of their beneficiaries. So where does this leave Shelter? It had an income of £61m in the year to 31 March 2017 and is undoubtedly one of the sector giants. The organisation is just starting a major piece of work on a new strategy, she says, and part of that will involve looking at how it can work in partnership with local groups, rather than "contributing to the bonfire of small charities". As part of the strategy rethink, Neate has launched the largest internal inquiry Shelter has ever carried out, asking staff and beneficiaries what the organisation should be doing and how. "The housing crisis has worsened a lot since our current strategy was written," she says. "The level of need is more severe and the fundamental right to a home is under threat. We need to frame our organisational purpose in the context of a very severe level of need. people who use our services more directly expressed in our campaigning work and our influencing. "I think Shelter was created as a movement, and that’s how I would like us to move forward."